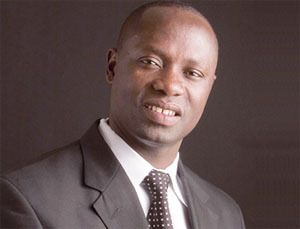 The Minister of Petroleum, Mr Emmanuel Armah-Kofi Buah, in a mid-year review meeting with the heads of agencies under the Petroleum Ministry, said plans are advanced for the country to be self-sufficient in gas supply. He pointed to gas supply from the Jubilee oilfields to the Auabo gas plant and the expected gas supply from the Tweneboa, Enyenra and Ntomme (TEN) project to the Atuabo gas plant. Irregular gas supply from Nigeria has compounded Ghana’s almost three years energy crisis. There have been acts of vandalism of gas pipelines by militants in Nigeria’s oil-producing Delta State which feeds into the West Africa Gas Pipeline. The TEN oil field is expected to start oil production on August 18, 2016, and gas production in the first quarter of 2018. TEN is expected to produce about 300 million barrels of oil, equivalent to 20 years lifespan of the project, and 80% of the oil would be gas. Tullow Oil owns 47.185% of the TEN project, Ghana National Petroleum Corporation. In addition, Mr Buah said the commencement of the Offshore Cape Three Points Integrated Oil and Gas Project at Sanzule in Ellembele District in the Western Region by Italian energy giant ENI will bring on stream addition gas. The project is expected to produce dry gas of 180 million standard cubic feet per day for a period of not less than 20 years. It is estimated that estimated that the facility will generate 1000 megawatts of electricity per day when its first gas is produced in the first quarter of 2018.